With Geshe Jangchup Gyaltsen and His Eminence Kundeling Rinpoche. I was pretty starstruck…yes, they are my version of rockstars! These accomplished practitioners and eminent scholars have been hugely impactful in the Dorje Shugden movement. 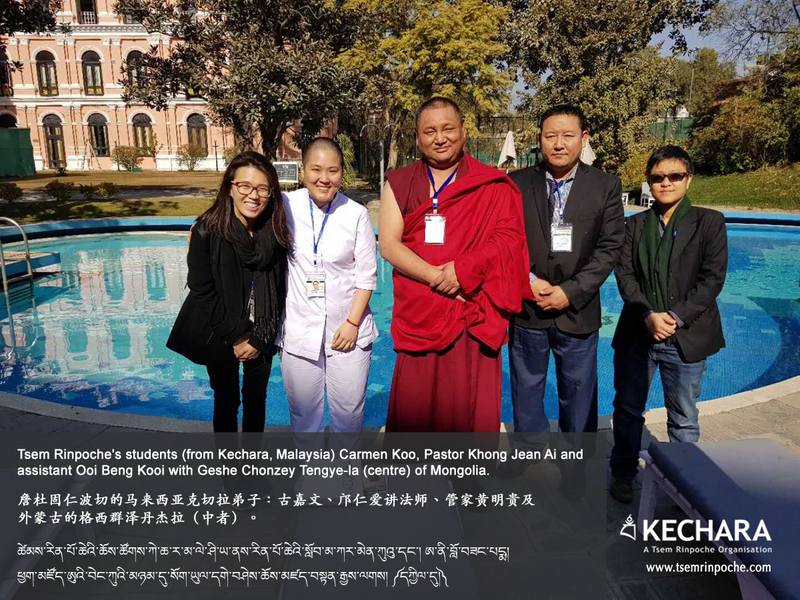 In early January 2018, I had the great fortune to attend the International Buddhist Conference of Dorje Shugden Followers on behalf of my Guru, Tsem Rinpoche. To say it was an eye-opening experience would be an understatement. It was my first time attending a Tibetan conference and I do hope it will not be my last. It is hard for me to express what it feels like to walk into a room of people knowing every single one of them feels the same way you do about the cause. In the room were people who had given up the greater part of their last 20 years to campaign against the illegal ban on Dorje Shugden, oftentimes at risk of their own lives. How can you not admire them? 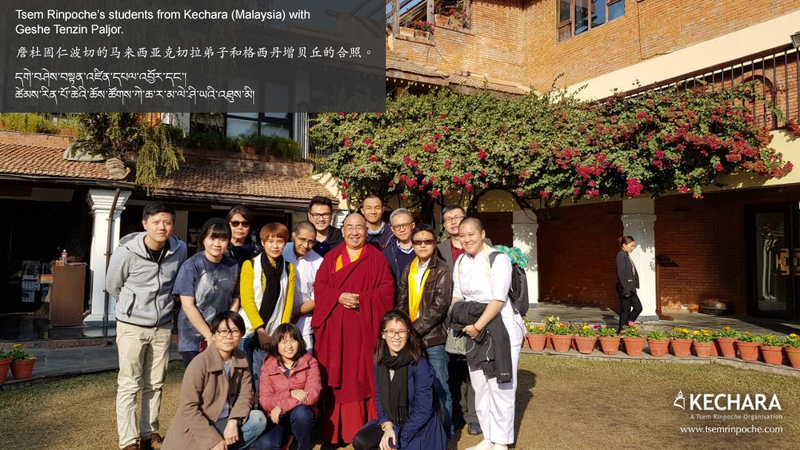 Anyway, as part of the official conference blog post, a few of us from Kechara penned a short commentary of the three days and what transpired, and how it affected us. I have reproduced my composition here below for you. I would like to thank Venerable Lama Thubten Phurbu, Geshe Tenzin Paljor-la and the organising committee for making this meeting possible. Not only were the discussions interesting and fruitful, but it became very apparent to me that the passion for the practice and the passion to speak up against the ban has not died down. No matter what Dharamsala tries to do to us, they cannot stamp out a practice that has existed for 400 years, and that is based on logic and truth. Originally penned for Rinpoche’s blog. Read the original here. The past 20 years have not been easy for Dorje Shugden practitioners. After the Tibetan leadership imposed the illegal ban in 1996, Shugdenpas were forced to scatter all over the world to escape religious persecution and survive. And we have to be honest here – Shugden practitioners do not have the public relations strategy, financial support and juggernaut reputation of someone like His Holiness the Dalai Lama backing us. In this struggle, we are the David up against Goliath. 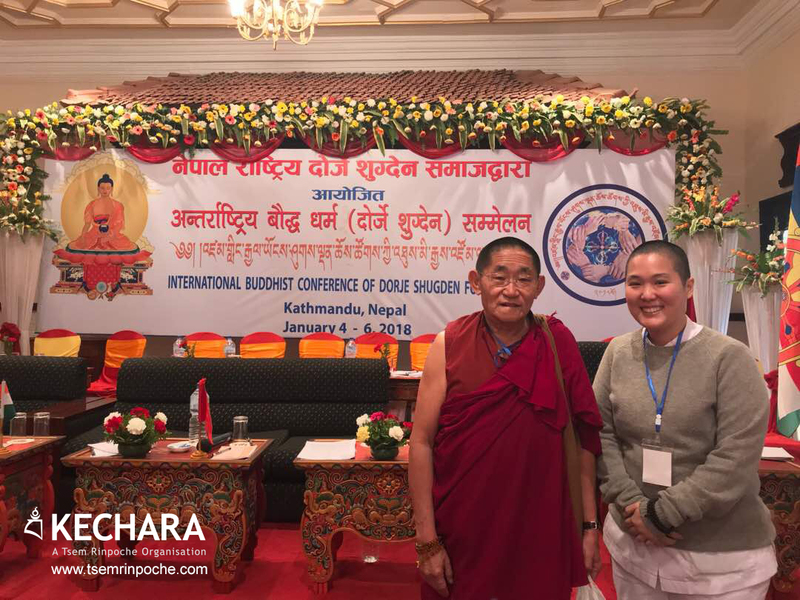 So the International Buddhist Conference of Dorje Shugden Followers was extremely significant in that respect, because it brought together a splintered community in order to pool resources and discuss strategy. With Venerable Gameng Kuten-la. The last time I saw Kuten-la was in 2007 at the funeral of His Eminence Dagom Rinpoche in Bangkok. For me, what was palpable in the room was the sense of devotion and loyalty, and how much each group or individual has sacrificed and fought in their own way to keep the lineage alive. And what I realised is that even though distance may separate us, all of us are united by one thought – to preserve, protect and promote our practice. It was also clear to me that our actions are motivated by the Dharma, because only Lord Buddha’s teachings can guide and direct 200 passionate people in a room who each have their own opinions and concepts of what is ideal! That is definitely what I saw in practitioners like Lama Thubten Phurbu and Geshe Tenzin Paljor, who never diverted from Shakyamuni’s tenets to facilitate the discussions. 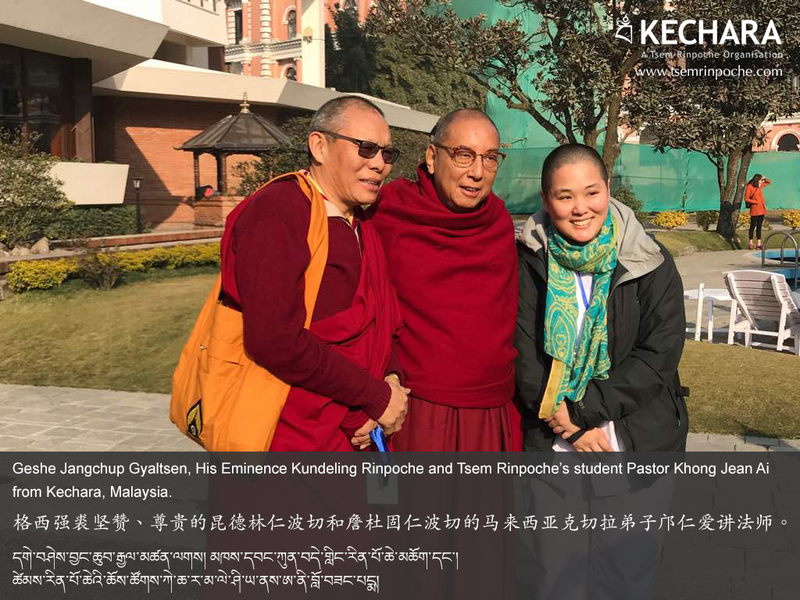 It is what I saw in lamas like His Eminence Kundeling Rinpoche, who kindly took the time and effort to translate for us Malaysians for all three days. It is what I saw in passionate lay people like Acha Lhakpa (of Nepal), Tashi Tadchen (of Europe), and Choedrak (of Chatreng) whose voices may have been loud, but whose words were compelled by kindness and concern for the future of our lineage. The conference was an encouraging start to the New Year, and I left feeling proud to be associated with such a staunchly devoted group of people who are able to stay united and persevere, despite the immense obstacles forced upon us by the Tibetan leadership. I would like to thank my teacher H.E. Tsem Rinpoche for the opportunity to attend this conference, to share about what Kecharians have been working on, and to learn more so I can fight a more effective fight to preserve the lineage. May 2018 be the year that the ban is fully and finally lifted. With one of my favourite people in the whole world Geshe Sopa-la is devoted, loyal, not afraid to speak his mind and has a very kind heart.